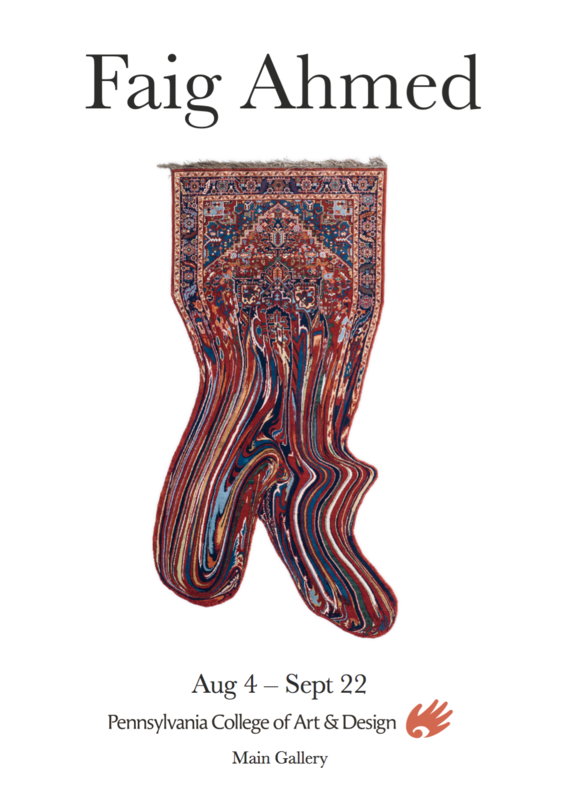 Internationally renowned Azerbaijani artist Faig Ahmed is among a new wave of contemporary creatives expanding the conventional notion of craft. Ahmed is best known for utilizing the traditional decorative craft of carpet-making to create contemporary sculptural works of art. Ahmed’s creative skills also span varied mediums such as installation, video, and embroidery, all of which can be seen in his upcoming solo exhibition at PCA&D. Ahmed’s exploration of fresh new visual forms challenges our perception of traditions through iconic cultural objects. He has exhibited his works in cities worldwide including New York, Berlin, Dubai, as well as at the Museum of Fine Art Boston, Los Angeles County Museum, and the Museum of Old and New Art, Tasmania. Admission, lectures and events are free and open to the public. PCA&D's Main Gallery is located on Gallery Row at 204 North Prince Street in Lancaster, PA 17603.